After several months of consistent growth, if your momentum comes crashing to a halt, it’s common for panic to set in. Is it a sign that something’s wrong? Have your readers found a competitor who offers better content? Or did you make a critical mistake that’s causing you to lose traffic? These influencing factors are possible, but unlikely. Plateaus are common in content marketing, and to an extent, should be expected. Think of it this way; if you were training to run a mile, and each week your time dropped by 15 seconds, you couldn’t possibly expect to maintain that momentum forever. You might cruise from 10 minutes to 8 minutes after 8 weeks, but as you get lower, you’ll inch closer to the world record, and from there, beyond the limits of the human body. Number of readers. You could try to get a bigger audience, either by reaching a greater fraction of your target demographic, or by reaching into a new demographic. Reader visits and loyalty. You could also improve reader loyalty, getting more visits and more action from your existing following rather than trying to invest in something new. Content value. It’s also a good idea to improve the total value of your content, by including more calls-to-action (CTAs), or by increasing the value of your ads or transactions online. Cost efficiency. ROI is the bottom line for most content marketing campaigns. If you can increase the return, you can at least minimize the investment (while keeping your return the same), ultimately netting you a higher ROI. Audit and optimize your content topics. 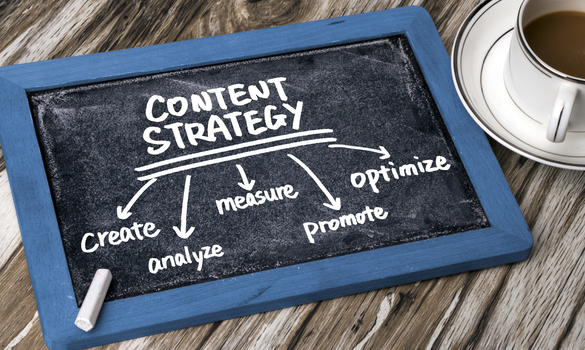 This is a good time to audit your content marketing strategy. Pay close attention to how your topic selection has evolved over time, and pick out the top performers and worst performers. What do these groups have in common? Can you adjust your content production to favor only your most successful work, weeding out the underperformers? Is there a promising new direction you could take? The better your topics, the more inbound links they’ll attract – and that’s a good thing for your search engine optimization efforts. One of the easiest ways to expand is to start targeting a new audience segment (assuming you’re already focused on one specific niche). You could focus on a different age group, the opposite gender, or someone further along in the buying cycle. If you have a consistent audience for your core content, it makes sense to expand into a new area. If you suspect your current audience is getting tired of your current run of content, or if you feel there’s a segment within your primary demographic that you just aren’t reaching, consider integrating a new type of content into your campaign. For example, if your work largely consists of written articles, consider launching a podcast, or integrating more photos and images into your work. You could even start a video series if you feel your audience might support it. Each social media platform has different strengths and weaknesses. Some have more appeal for one type of content than others, and some encourage more engagements than passive views. Still, your strategy for each platform needs to be different if you’re going to succeed. If you understand the new audience and the new platform well, you can market your content in a new way. Then, using proper social media security, you can hopefully capitalize on a new audience segment (and a fresh stream of traffic). This can jump-start your audience growth. You haven’t yet tapped every advertising strategy, so consider trying something new. It might cost you more than the organic marketing strategies you’re used to, but thanks to the audience targeting mechanisms in platforms like Facebook and Google, you can quickly and easily get your content in front of more relevant readers. It’s a nice shortcut to hack your content strategy to further growth. Don’t underestimate the power of collaboration in content marketing. Partnering up with another content creator—even one of your competitors—can be valuable to both of you. With your combined resources and expertise, you’ll be able to create more in-depth, valuable work, and with your shared audience, you’ll both be able to expand your online territory. Start asking influencers if they’re interested in a partnership. You can encourage more reader loyalty and get more visibility for your brand at the same time by enlisting more audience participation. Use social media content, contests or user-submitted content to entice people to contribute to your online community, and thank them for their efforts. The more active your community is, the more valuable your efforts will become. You may not get back to the same level of growth you were seeing before, but you should be able to see growth in at least one area, and therefore, get more value out of your content campaign. Don’t be surprised if this growth cycle ends in another plateau; if it does, you can remain consistent to keep seeing your baseline results, or try another tactic to revitalize your campaign once again.